The Federal Law Enforcement Officers Association (FLEOA) announced Thursday its support for Attorney General nominee Loretta Lynch. Lynch is currently the U.S. Attorney for Brooklyn. Today, the Federal Law Enforcement Officers Association (FLEOA) announced its support for Attorney General nominee Loretta Lynch. FLEOA stands behind her proven leadership and her support for those who investigate and enforce the federal statutes. 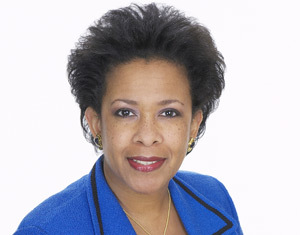 In 2011, Ms. Lynch was selected as the FLEOA Foundation’s Law Enforcement Honoree of the Year. Her accomplishments and her leadership continue to resonate in the law enforcement community, and she possesses the requisite institutional knowledge that is required of the position of Attorney General. Posted: 11/13/14 at 1:42 PM under News Story.